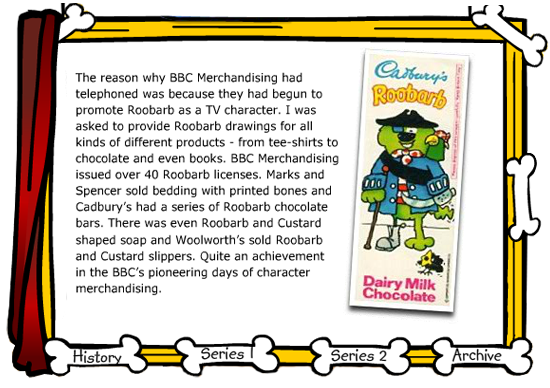 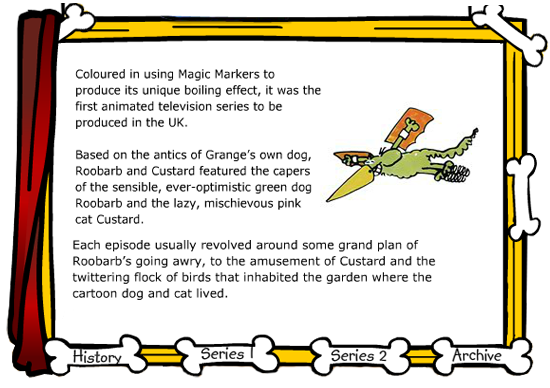 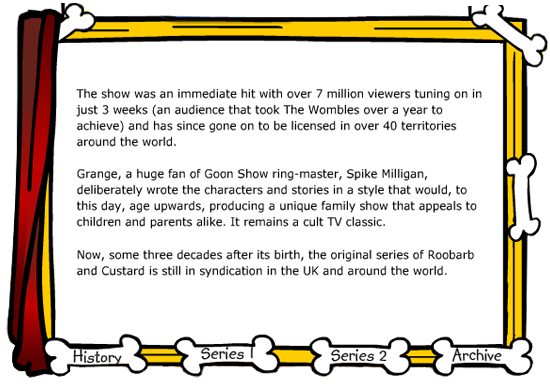 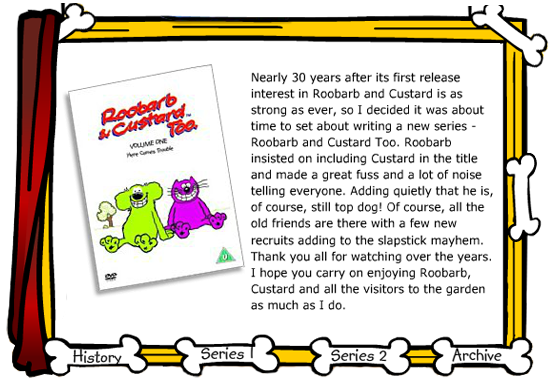 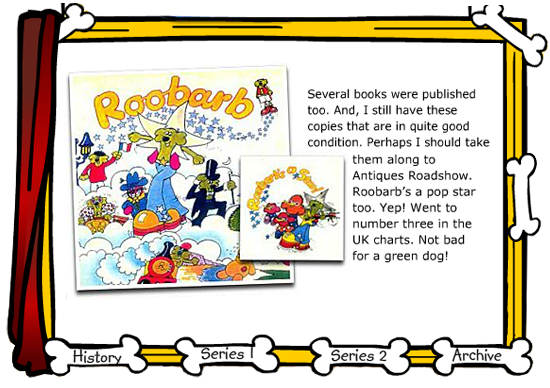 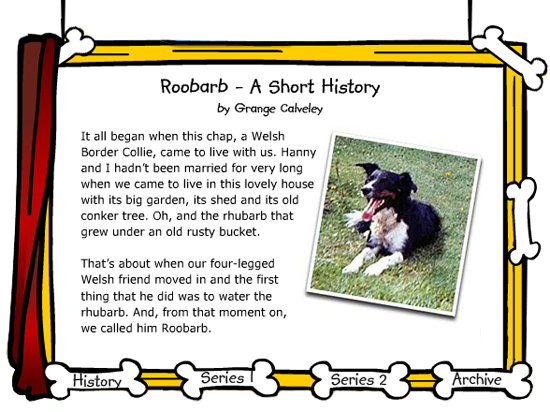 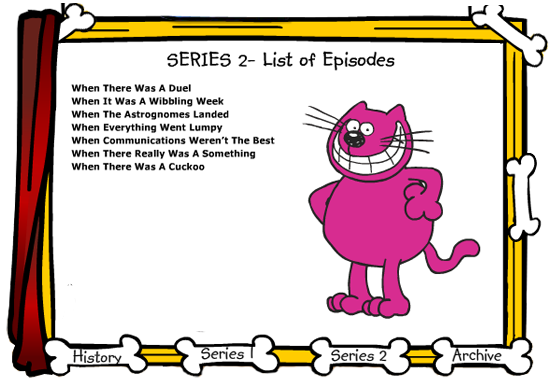 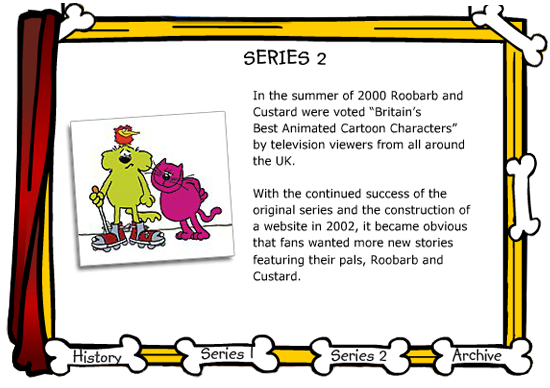 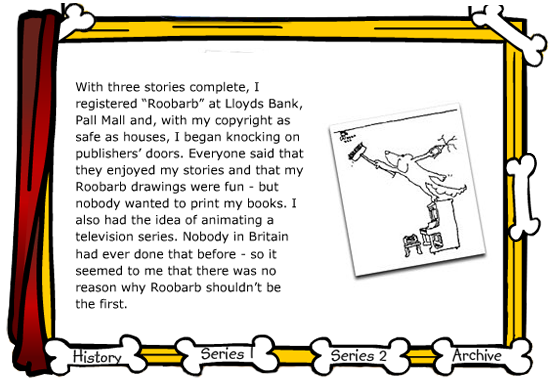 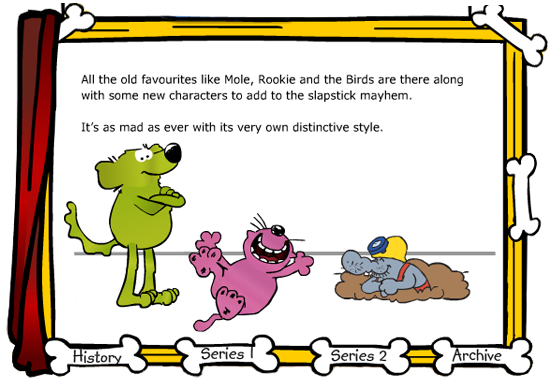 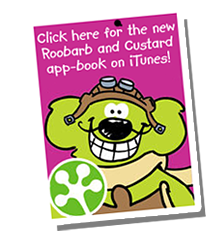 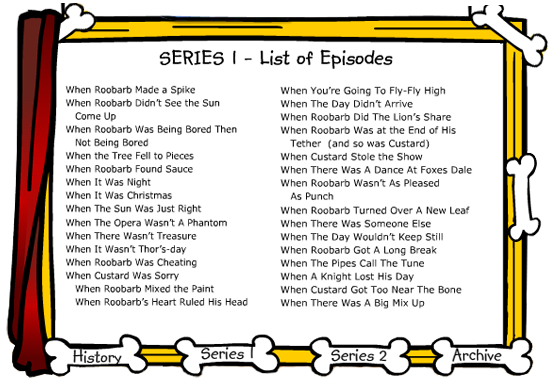 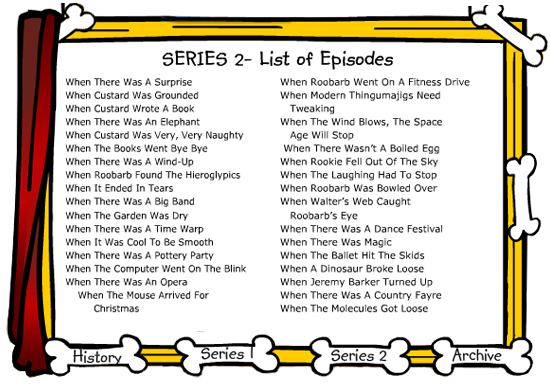 Roobarb and Custard have a colourful series history reaching back over four decades to 1974 when they first appeared on British children's TV through the BBC's programming for kids. 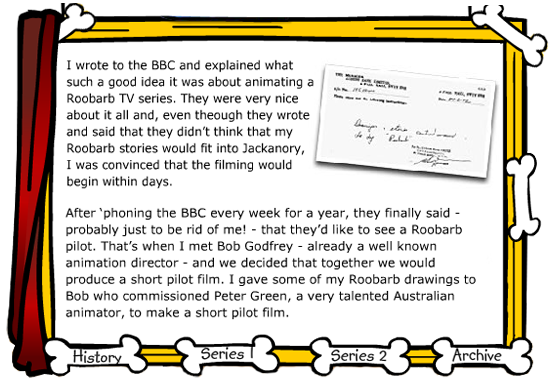 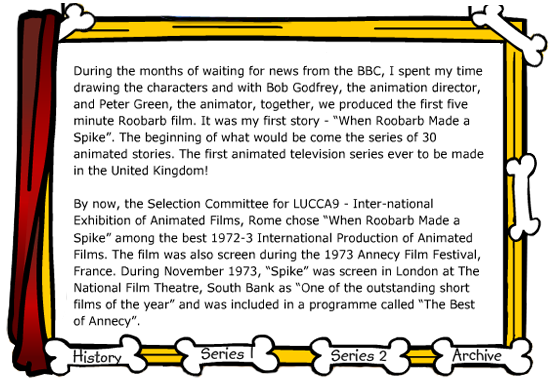 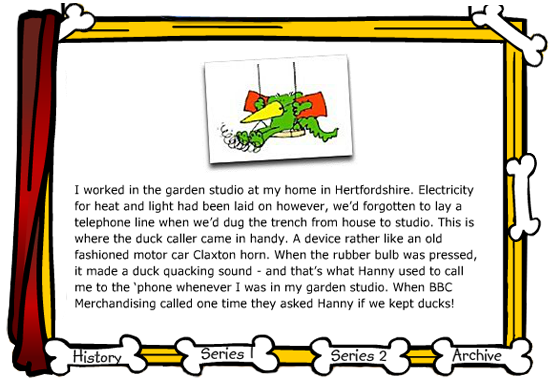 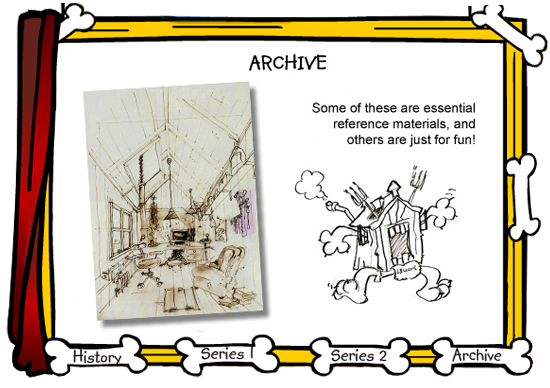 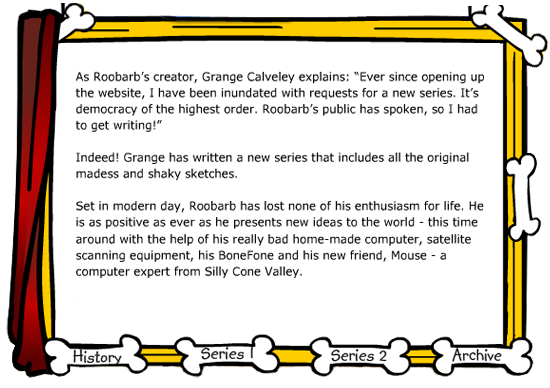 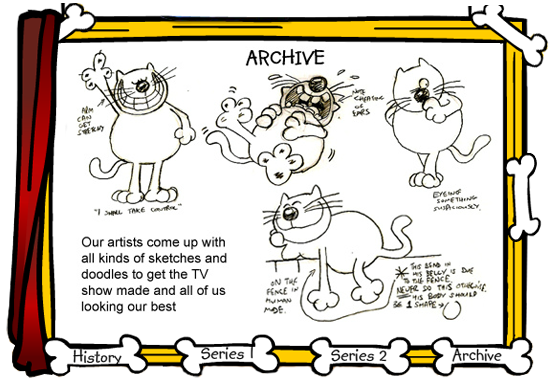 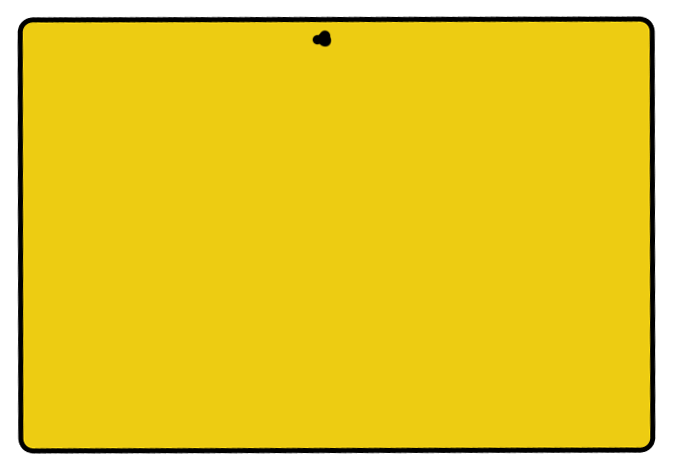 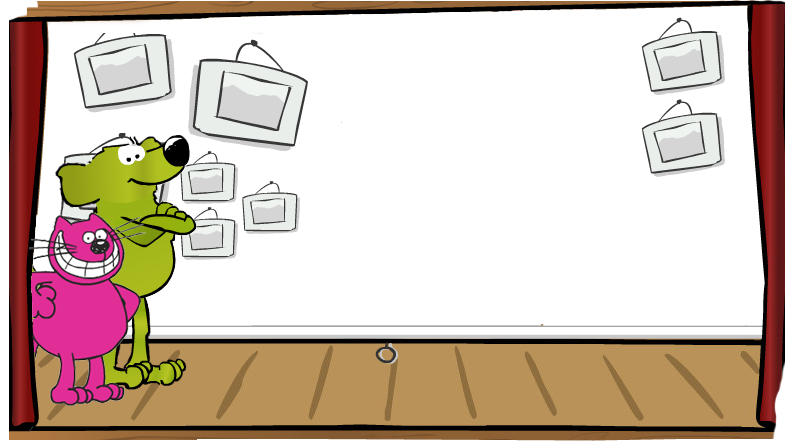 The idea of a fully animated television series was unique and creator Grange Calveley had to work hard to convince them it was plausible, eventually finding the ideal package in Bob Godfrey's "boiling" wobbly animation style which gave the retro cartoons a unique look in an affordable way. 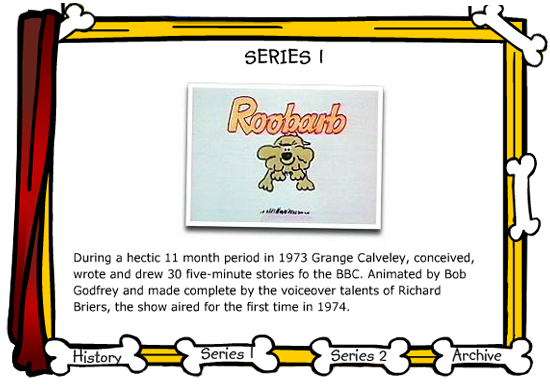 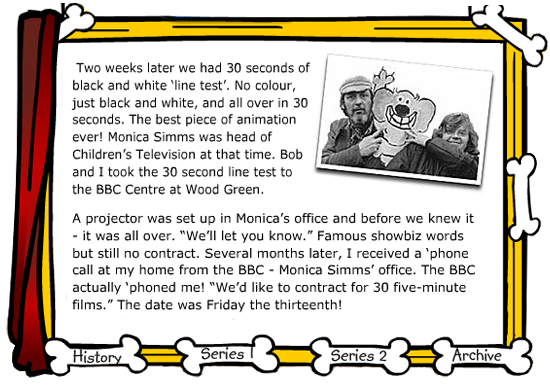 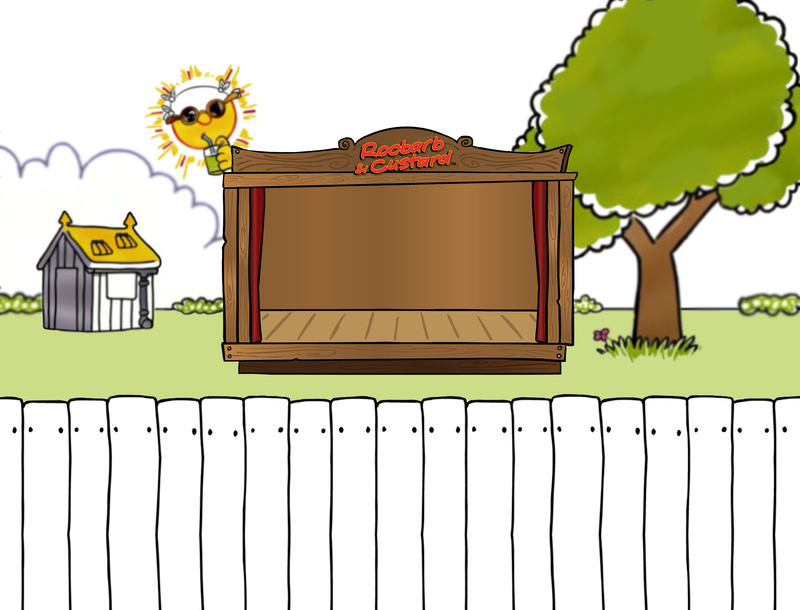 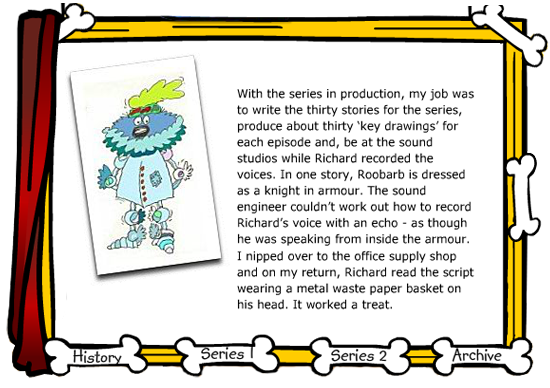 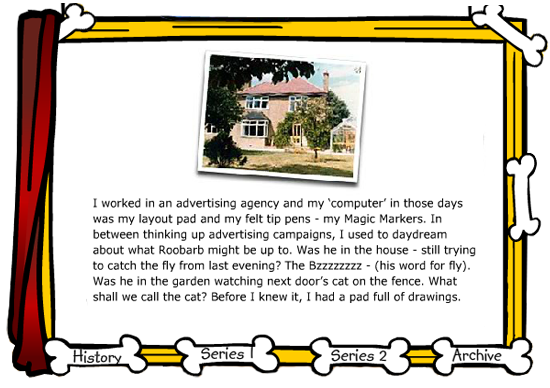 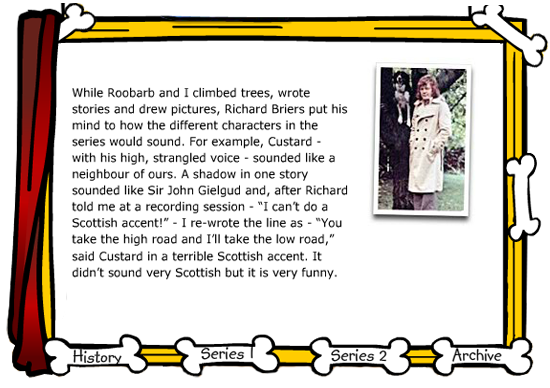 Adding beloved British actor Richard Briers to the project as narrator and wonderful theme music by Johnny Hawksworth brought Roobarb's cult cartoon world to life, and began a forty year run from the 70s on British children's television.